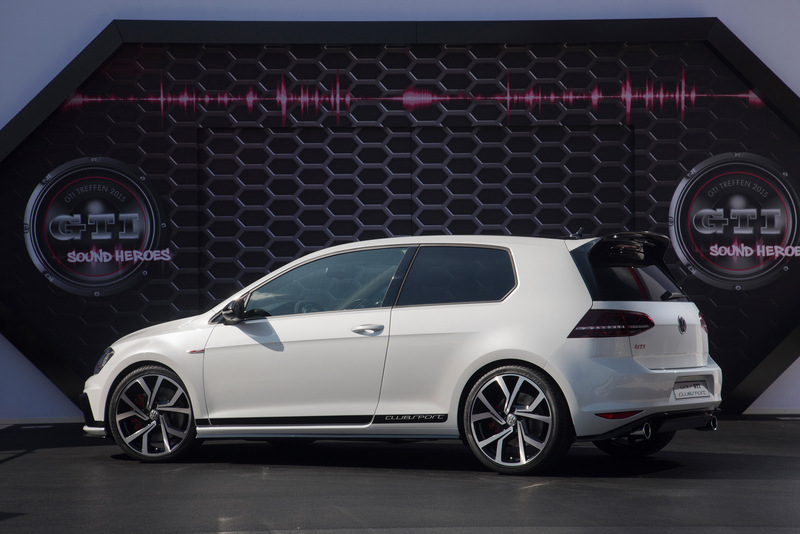 The new Volkswagen Golf GTI Clubsport is the most powerful GTI in history: its 2.0 TSI develops 265 horsepower but for short periods of power of up to 290 horses. 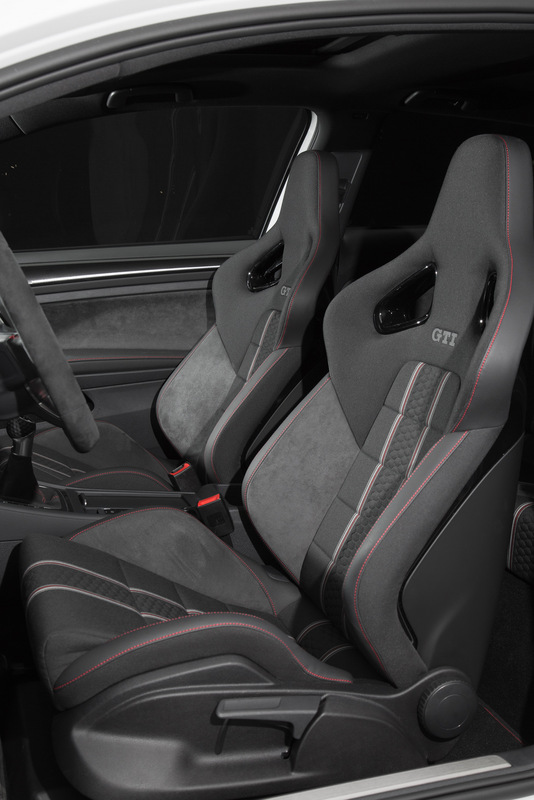 Thanks to the 2.0 turbo overboost function expresses maximum power for 10 seconds allowing it’s record performance. 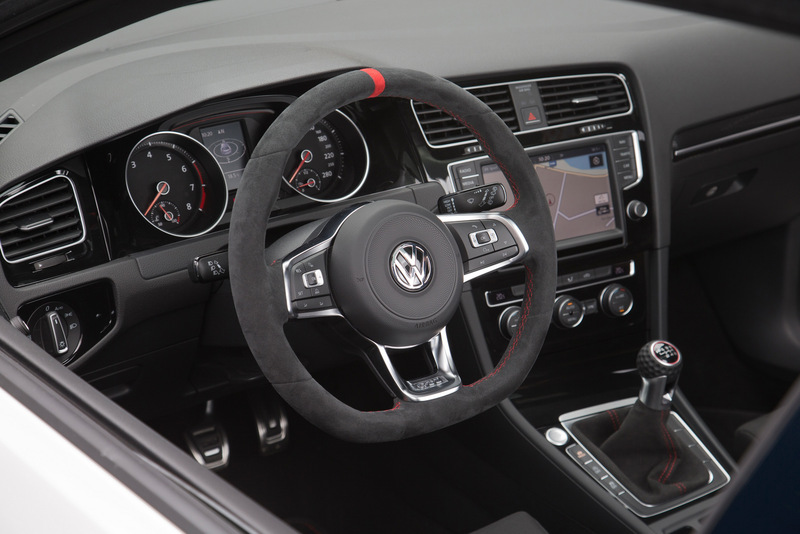 The Volkswagen Golf GTI Clubsport makes the sprint from 0 to 100 km/h (62 mph) in 5.9 seconds for the DSG gearbox and in 6 seconds flat inn case of manual variant; in both cases the top speed is 250 kilometers per hour. 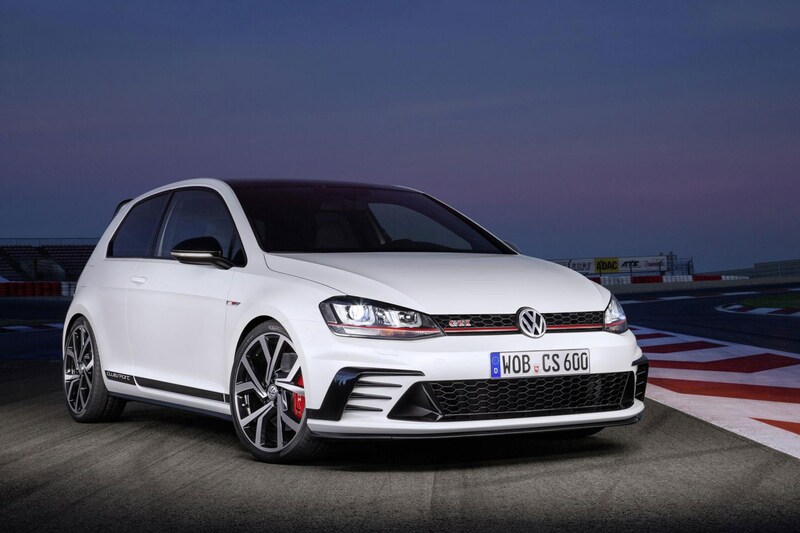 In addition to technical innovations under the bonnet, Volkswagen Golf GTI offers a Clubsport exterior evolution that has made even more aggressive look of the Volkswagen Golf GTI. Among the features that stand out more you can see the new alloy wheels Brescia 19-inch and the exclusive body kit. 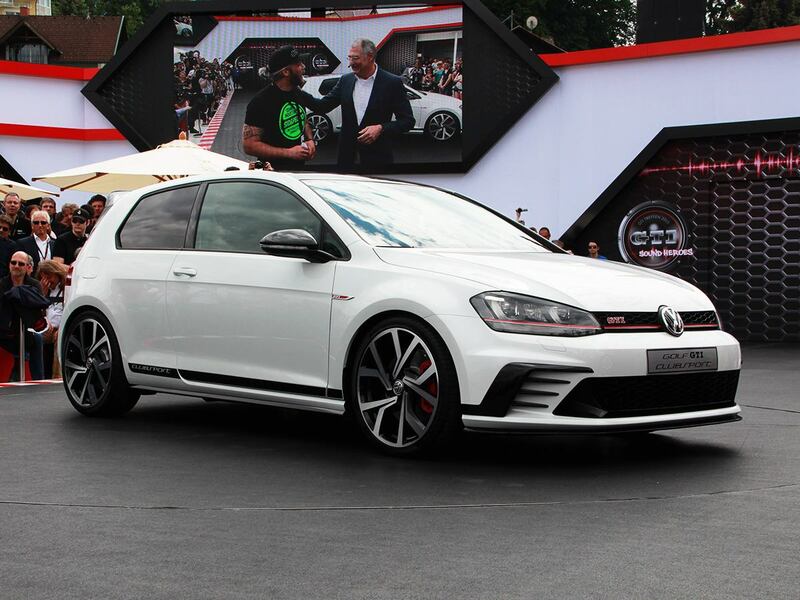 Front bumper features new aerodynamic fins and air intakes while the rear debuts a new diffuser integrated into the bumper as well as a brand new spoiler larger than the normal Golf GTI. Sports suspension and side skirts make the car competing in lower while the side are some stickers that remind the exclusivity of this construction. 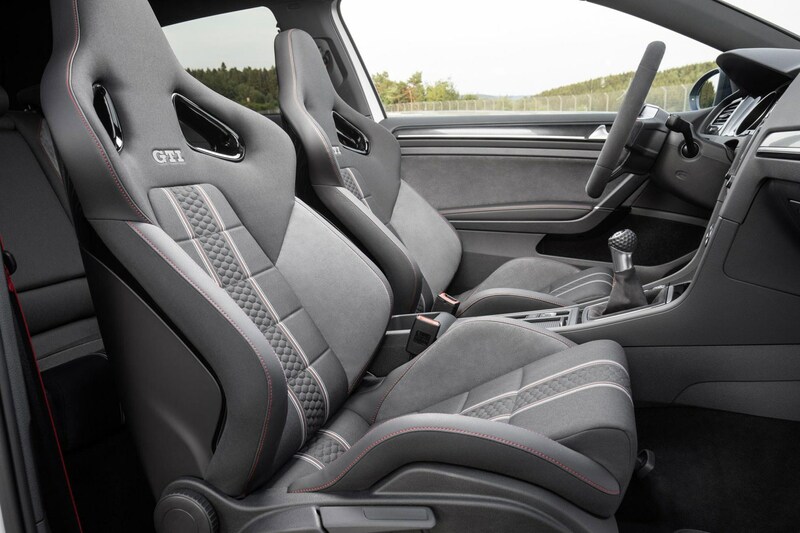 The interior of the Volkswagen Golf GTI Clubsport are enriched with new sports bucket seats with Alcantara, a brand new steering wheel and different finishes for the instrument panel and the dashboard as well as a new sports pedals. This is a nice one!